Do you remember the days when you hid your first baby teeth under the pillow hoping that the Tooth Fairy would gift you a gold coin? We all have grown up believing in fairies one way or the other. Fairies are an important part of our childhood memories. Remember how we couldn’t sleep at night before our daily dose of a Fairytale? Whenever we hear the word fairy pop up, we immediately think of a small, beautiful girl with wings and magical powers. But, is it really so? Do fairies have magical powers? Are fairies really so beautiful? And most importantly, do fairies really exist? Today, the concept of a fairy is heavily commercialized, thanks to Disney and especially Tinkerbell. But, it’s certainly not a new-age idea. In fact, the concept of fairies is thousands of years old. Still, our knowledge about fairies is fairly limited. The reason is that we’ve never tried to think beyond the alluring fairytales and believe what we’ve been told. But, that won’t be the case anymore. 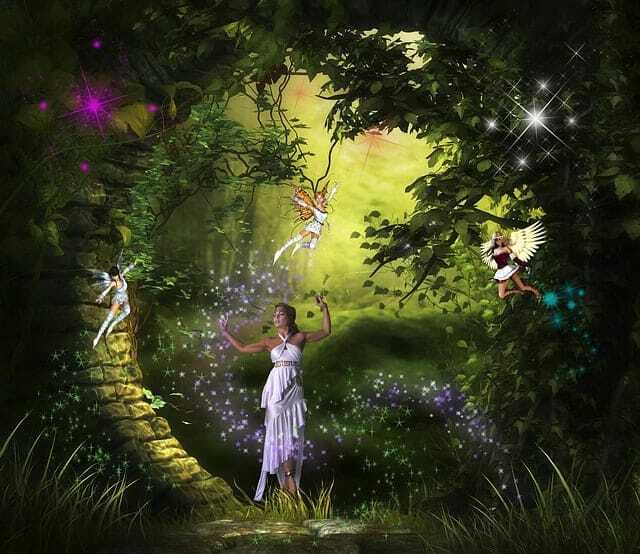 Here’s all that you need to know about Fairies including a few surprises. A fairy is a tiny, human-like creature believed to be very beautiful and sometimes to have wings. The word fairy is also spelled faerie or faery. Fairies are mythical creatures found in folklore from around the globe. Fairies may have magical powers, and they, presumably, dwell on the earth close to the humans. Fairies can be of different shapes and forms, and not necessarily be beautiful females. They may appear as a male dwarf wearing green clothes. Dwarf fairies have green hair and they live either in stone heaps or underground. Interestingly, fairies have unbounded magical powers. Though the term fairy dates back to the Middle Ages and originated particularly in Europe, we find descriptions of fairies in almost every culture. For example, fairies appear in the Sanskrit Gandharva as the semi-divine celestial musicians. And, who can forget the nymphs of Greek mythology? In Arabic mythology, the jinni Homer is also a reference to the fairy phenomenon. Fairy-like characters are actually part of every culture from the Arctic peoples to the Samoans and all indigenous American civilizations. 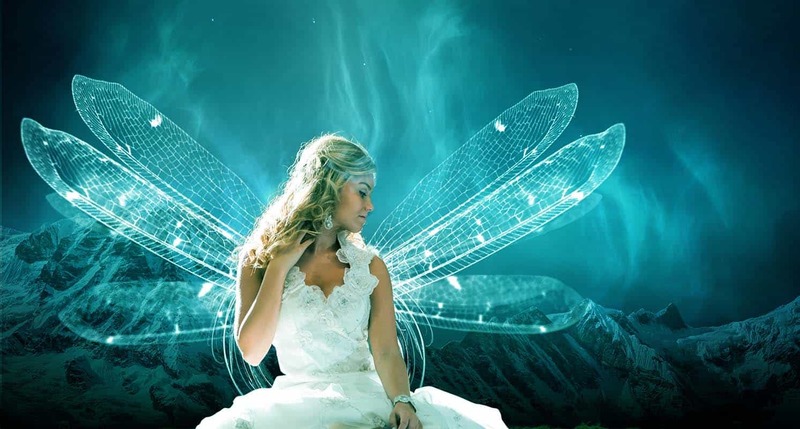 The concept of a fairy most likely is inspired by the pagan nature goddesses and gods. Therefore, fairies are commonly associated with outdoor areas like the forests, long journeys, and magic. However, most commonly fairies are associated with human-like features and appearance. They have small stature, a desire for trickery, and they can fly. As far as the word fairy is concerned, it’s a combination of French and Middle English spelling. That’s why you find that folktales across Europe refer to fairies with different names. In Ancient Rome, fairies were called Fata referring to the Fates of Roman Mythology. In the English language, the word became Faie and the suffix ry or erie was later added to the word. The term was associated by the Englishmen with otherworldly creatures having dedicated tasks to perform. For them, there were many different types of fairies and each has a job to do. Such as the sprite fairy was tasked to clean the homes while the residents were sleeping. The word fairy is also used as an adjective and a synonym for enchanted and magical. There are many representations of fairies. Some fairies are pure evil while some are as innocent as a child. Some can fly while some don’t. Some want to help the humans while some come to destroy them. Given the fact that fairies have remained a part of almost every culture’s folklore, therefore, we’ve many different impressions about fairies. It’s a fact that myths and stories about fairies don’t have a specific source of origin. What we know about fairies at all is from a collection of folk beliefs from different sources. Many folktales theorize that fairies were actually demoted angels or demons. This notion is predominant in the Christian culture. In pre-Christian Pagan belief system, fairies were described as minor deities while Christianity belief system claims them to be the spirits of the dead. They are also claimed to be a prehistoric precursor to humans. However, it is a collective belief that the four elements of earth are from where fairies originate. The air, water, earth, and fire all have particular fairies, and hence, fairies are vital to the balance of these elements. We’ve often read about such fairies. For example the Lady of the Lake who gave the King Arthur the Sword of Excalibur or the winged sylphs. Salamanders are the fire fairies, which are mischievous and evil. The idea is that fairies live in harmony with the four elements. Persian mythological accounts claim that fairies are angels. They have this legend where Lucifer along with a group of angels revolted against God. Resultantly, they were cast out and came to the earth. Those who couldn’t take any side were caught in the doorway. Fairies are, allegedly, cast out angels. The negative references associated with fairies are mainly the result of the Puritan movement. The hobgoblins, brownies, and sprites of the past transformed into evil demons from helpful spirits. The Puritan movement propagated the concept that fairies were evil demons tasked to destroy humanity. Witchcraft and Wizardry became associated with fairies pretty soon. Anyone who tried to project a softer image of the fairies was strongly opposed and regarded as a sorcerer or a witch. Thankfully, that period is over but, still, its effects linger on to this day. Beauty is the first characteristic associated with fairies since early on. Fairies are conceived as characteristically handsome or beautiful. They are eternally beautiful and supposedly live a long life. Moreover, fairies don’t have souls, so, they don’t die but simply perish. Fairies, apparently, live correspondingly to the humans and may also take their human friends to the fairyland. Fairies can carry off children too and leave behind changeling substitutes. If humans eat or drink anything on their visit to the fairyland, they won’t be able to return back home. Fairies have a love-hate relationship with humans. They can fall in love marry humans but with certain restrictions. If the rules of marriage are violated by a fairy, the marriage ends and the spouse dies. Some fairies aren’t as loving and caring but actually lethal to their human lovers. Fairies are generally small in stature, compared to the humans. They can have a maximum height of 3inches or 7.5cm. Fairies have special skills and abilities as well. Some fairies can predict future like foretelling deaths or births. There are certain herbs that repel fairies such as St. John’s wort and yarrow. Conversely, there are herbs and plants that are dear to fairies and any abuse to these plants leads to revenge. The plants that fairies love include foxglove, hawthorn trees, and groundsel. According to fairy legends, fairies live in a country called fairyland, but that’s an imaginary land. Many theorize that fairies choose their home according to their region. Some live in underground kingdoms while some live in woodland communities. Some fairies live around the lake shores, and some inhabit hills and grass circles. Moreover, fairies don’t live alone; they are accompanied by ogres, centaurs, elves, gnomes, and other animals. You’d be surprised to know that like us humans, there are many different races and tribes of fairies too. The shape, size, and characteristic of a fairy are, therefore, determined by their tribe/race. Typically, fairies are small in size but using their magical powers they can transform into something larger. Folklore and legends related to fairies have been circulating the earth for centuries. 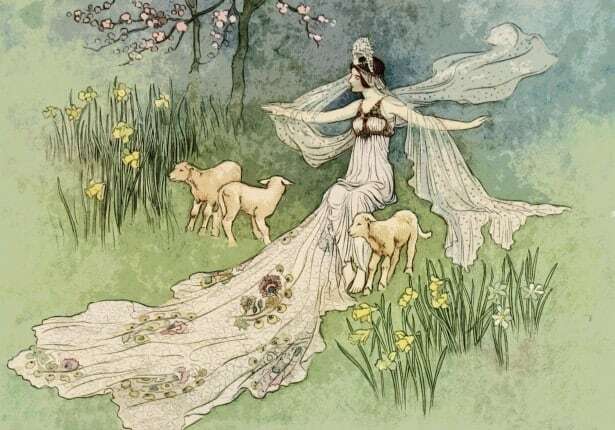 We find maximum accounts of fairy lore in Europe particularly in Celtic, German, Slavic, English, and French folktales. The Scottish people believe that fairies are capable of shape-shifting. Many Scottish stories about fairies tell that fairies frequently assumed the guise of animals like deer, black sheep, and horse. The Legend of Knockshegowna tells about a fairy queen who transforms into a great horse to frighten a farmer for entering her fairy-ground. The horse has wings of an eagle and has a tail and fire-spitting mouth of a dragon. The fairy queen then changes into a little lame. Irish stories about fairies are available in Lebor Gabala Erenn, a collection of legends about fairies in Ireland. The Irish mythology claims that fairies settled in Scotland much before humans arrived. They fought many battles with the other races but finally had to retreat to Sidhe. Some legends state that the fairies never left. Recent excavations around the areas where fairies were supposedly hiding turned out to be ancient graves. This means, at least the area was occupied. In Northern Europe, there are stories about a mortal woman who witnessed a fairy birth. She was given an ointment for her child’s eyes that she mistakenly rubs on her own. She then develops the ability to see fairies. Changeling beliefs are also associated with fairies. In many folktales, there is an eerie explanation of the changeling that it happens when a human baby is exchanged for a fairy-baby. Legend has it that fairies, sometimes, swap their sick babies with healthy human babies. What happens to that human child, we may never know. In fact, people started believing in fairies because of a murder. In 1895, Bridget Clearly was murdered by her husband claiming that she wasn’t his wife but a changeling left by fairies. The categorize fairies as unseelies and seelies. Seelies are assumed to be mischievous and silly. The unseelies are the exact opposite of seelies as they are evil, malevolent, and destructive. It’s impossible to discuss fairies without mentioning the tooth fairy. We’ve literally grown up thinking about the tooth fairy. It won’t be wrong to state that we all are pretty fond of the tooth fairy just like we are fond of Santa Clause. Apart from her gift-giving nature, which largely attracts children, the tooth fairy is quite popular across religions and cultures. It isn’t a product of recent times but a relatively old concept, just like other legends associated with fairies. The tooth fairy is largely associated with baby teeth and every culture has a different story to tell about that. The Tand-fe or tooth fe (tooth fairy) legend originated in Europe. According to European traditions, a child’s first tooth is sacred. The Vikings used the first baby teeth to steal the child’s good luck and win battles. Hence, in Europe wherever a child loses the first baby teeth, it is immediately buried to prevent the child from hardships. In Russia, Spain, and China, it is believed that the tooth fairy is a deity in the form of a mouse. The mouse enters the child’s room and removes the baby teeth. More recently, mainstream media has highlighted the concept of tooth fairy considerably. It has been the central theme in probably hundreds of books, movies, cartoons, and plays. A tooth fairy is part of the group of mythological characters in the movie Rise of the Guardians. There is a movie made on the legend of the tooth fairy, which is aptly titled The Tooth Fairy. The myth of tooth fairy is also mentioned in the movie Darkness Falls. And, how can we forget Kristie Alley’s Toothless? It’s the best of the lot as far as depiction of the legend is concerned. There are many unexplainable phenomena associated with fairies but the most hyped and famous one is the fairy ring. The fairy rings are referred to as nature’s most well-kept secret. Also called fairy circle, pixie ring, elf ring, and elf circle, these are ring-shaped areas that generally form around the lakes, forests, and grasslands. The most popular and frequently visited fairy rings are located in Namibia. Fairy circles are naturally occurring arc or rings of mushrooms that may reach up to 10meters in diameter. The rings become stable with the passage of time and as the fungus grows, it becomes impossible to remove them. But why do we call them fairy rings? That’s because of the association of legends and folktales with the rings. Some believe that these rings are dangerous areas that should be avoided while some believe that these bring good luck. Western European folklore has many stories about fairy rings. Such as, the French call these rings ronds de sorcières or the witches circle while the Germans call it Hexenringe, which means witches rings. According to German legend, fairy rings mark the place where witches dance on Walpurgis Night. The Dutch believe that the circles are the points where the Devil has set his milk churn. The Tyrol folklore associate fairy rings with flying dragons, which created these circles so that nothing could grow over there. Europeans believe that entering a fairy ring brings bad luck while the French claim that whoever enters the circle transforms into a toad. The toad is then given the task of safeguarding the ring and watch for those who violate the circle. Europeans also believe that if someone enters a fairy ring, he would lose one eye. The Philippines associate fairy circles with diminutive spirits. About the creation of fairy rings, the English, Celtic, and Scandinavian have an agreement that the circles are the result of fairies or elves’ dancing. It is believed that fairies dance in circles, which is why they create the rings and use the mushrooms as umbrellas. In Wales, the rings are known as the cylch y Tylwyth Teg. The Welsh strongly believe in the link between fairies and fairy rings. Their belief is still undeterred and recently some Welshmen claimed to have danced with the fairies. However, there is a general consensus that fairy rings are dangerous places. Many folktales describe events when someone got disappeared after entering this forbidden territory. Such as, the Psyche and Eros story from the Sikes. The story offers a detailed account of how people were punished for trespassing into the circles. People believe that whoever angers the fairies by entering the circle will be cursed. Luckily now you don’t need to feel scared of entering the fairy circles at all. Scientists have found out the truth about The Fairy Circles of Namibia. The University of Strathclyde and Princeton University researchers have discovered that the rings are created by the interaction between termite engineering and vegetation. This interaction is essential to their mutual survival, researchers claim. “In the case of Fairy Circles, termites remove vegetation on their mounds to increase moisture..thus creating the bare disk. Vegetation around the mound takes advantage of this water accumulation to grow, and this taller vegetation forms the circle. The Fairy Circles remind us of the delicate balance of interactions necessary to sustain ecosystems,” writes the University of Strathclyde’s Dr. Juan Bonachela. Customarily, fairies have been categorized into seven types. Let’s find out more about them. Asrai is quite similar to the Selkie and Mermaid. It’s an aquatic fairy that lives in deep waters and grows by moonlight. Legend has it that Asrai is strikingly beautiful, but very shy as well. That’s why she only comes on the surface of the water once in a hundred years. Asrai doesn’t like sunlight at all and if she gets exposed to sunlight she melts and dies. It’s believed that Asrai’s touch is really powerful and cold. So, by merely touching a human she can render him frozen forever. Pixies are small fairies having pointed ears and nose, gossamer wings, and very big heads. These are naughty fairies and are great pranksters. Although Pixies are considered friendly fairies but they have a reputation for misguiding travelers. Pixies can help in household chores and they love flora. They are also capable of shape-shifting, which helps them transform into anything easily. So, they can increase or decrease their size quite often. Merpeople are a combination of human and fish. Their upper body is human-like while the lower body has a fish-like tail with fins. Usually, mermaids and merman fall into the category of Merpeople. Naturally, Merpeople live under the seas and deep oceans. They have deceptive personalities. According to legends, mermaids used to lure sailors with their enchanting beauty towards the deep waters and killed them. Some mermaids are friendly to sailors; they guide lost sailors to their destination and grant their wishes. Whether good or evil, all mermaids have the power to manipulate the sea. They can make the waters boil to create a storm or freeze it to form glaciers. Mermaids also can tell the future. Banshee is an evil fairy of Irish descent. She is quite famous but for all the wrong reasons. Banshee’s wailing is associated with death. This fairy is also capable of shape-shifting and can transform into a beautiful female or a hag. People fear Banshee because she only visits a human to inform about the death of a family member. She is also known as the Death Messenger. Leprechauns are also of Irish descent. They always wear red or green clothes and are believed to be deceptive little fairies. Leprechauns are proficient shoemakers and like to live solitary lives, away from humans. According to folklore, Leprechauns have magical powers, and if a human catches one, he is granted three wishes in exchange for its freedom. Perhaps the most famous fairy of them all is Brownie. These are benevolent fairies and like to help the old and sick people. They have been named as brownie because they have brown hair and face. Brownies cannot be seen by ordinary people, and only those who possess second sight can see them. Brownies are also expert at household chores. They usually help families in running errands and demand honey, hood, and bread in return. Brownies also have shape-shifting powers, which they use to transform into different creatures mostly farm animals. The most famous of all real-life fairy incidents is associated with two teen cousins Elsie Wright and Frances Griffiths. The girls insisted that they played with fairies when they were living in the English countryside nearby Cottingley. Wright was 16 and Griffiths was 10 when they claimed to have not just seen but played with real fairies. Although their account was rejected as a mere imagination of little girls, they kept on maintaining that what they saw were real fairies. They also presented proof to back their story. The girls showed five photographs in which little fairy folk can be seen playing with the girls. Obviously, the pictures were dismissed as fakes, but some did believe in the girls’ story. One of the believers was the creator of Sherlock Holmes, Sir Arthur Conan Doyle. Sir Doyle believed that the fairy pictures were authentic. He even wrote a book on the incident titled The Coming of the Fairies. In the book, he discussed that fairies do exist and this fact has been proven time and again. However, in 1983, decades after claiming to have played with a real fairy, Frances Griffiths admitted that they had lied and the pictures were cutouts from a book. Times have changed significantly. Nowadays, people like to find out reasons and logic behind any given phenomena. Fairies also have been widely studied by scientists and researchers. Scottish writer David MacRitchie, eminent euhemerist from the same era, theorized that fairies were a pygmy race of ancient Britons. In his book The Testimony of Tradition (1890), he wrote that fairies lived in underground tombs and passageways. These tombs can be found around sites like Stonehenge. Sir Arthur Doyle, who got inspired by The Cottingley Fairies incident and started believing in fairies also proposed a theory in his book. According to Doyle’s analysis, fairies do exist but on a completely different vibrational spectrum. This spectrum can be understood as ultraviolet or X-rays, which only those can see who can “tune into” fairy world. Doyle also claimed that the fairies seen by Frances and Elsie appeared two-dimensional because fairies are made of light and cannot cast a shadow. It’s a fact that “a race of pygmies did not inhabit Europe prior to the arrival of a hypothesized race of Aryans,” added Grydehøj. In an age rocked by gravity-defying techno-scientific discoveries, it seems unlikely that people would like to believe in a phenomenon like fairies. There were times when people spent the day creating unusual stories. It’s also possible that fairy theories and euhemerism presented people an opportunity to reconnect with the past. But, we cannot start believing into something based on stories; we need proof of some sort. Don’t we? It’s true that people do believe in fairies, even today, specifically in areas like Ireland, Scotland, Norway, and Iceland. But, generally speaking, fairies have lost their charm for adults. Legends and folktales about fairies make up for good reading material for children, but it’s illogical to claim that fairies are real. Even the one incident where two girls claimed to have seen a fairy turned out to be a hoax. There hasn’t been any incident where a fairy was captured or seen by people at all. So, their existence remains a point of debate so far. Yet, these mythical creatures fascinate young children. Therefore, whether we believe in fairies or not, there is no harm in enjoying the fairytales just as they are…..stories. Next articleTime Travel – A Myth, Reality or a Possibility?